Death is a subject that most of us DO NOT want to talk about and yet it is inevitable for all of us. We tend to avoid the topic as much as possible but talking about it with family and friends or taking the time to DIY your funeral and plan ahead could save us all from a lot of trouble. Planning the funeral yourself can save you time and money as well as reducing the stress your family and friends face at a time of intense grief. It will allow you to discuss and plan the funeral arrangements with your family, in the privacy of your home, and avoid a sales focused environment before signing a contract with a funeral director. There are two types of funeral plans when planning a funeral with eziFunerals – ‘At-Need’ and ‘Pre-Need’. ‘At-Need’ funeral plans is where everything is planned, after your death, by your immediate family and friends. Organising a funeral for a loved one is one of the most difficult things we will ever be asked to do. When there is a death, reason and logic are hard to come by due to grief. Decisions need to be made quickly and under stress about what type of funeral you want AND how to handle your money and estate. If your wishes are unknown when you die, your family will be faced with making difficult decisions at a trying time. Will they know if you wish to be buried or cremated? Will they agree on an open or closed coffin? Will they agree on how much to spend? Confusion and disagreements are common occurrences when there is no plan to follow. eziFunerals can help you plan an ‘At-Need funeral at short notice, without a funeral director, and get quotes before selecting a funeral director. However, you can avoid this stress by planning your funeral in advance. Taking a few minutes to plan your funeral with eziFunerals can save your family time, money and unnecessary grief. ‘Pre-Need’ is when you pre-plan your own funeral in advance. By specifying your funeral wishes in advance, you will get the the sort of funeral you would like to have and you are empowering your loved ones to make informed decisions about all your funeral-related issues and they will be able to to put your wishes to action. Your family can also use your funeral wishes to compare prices and obtain quotes from funeral companies before they even sign any contact. eziFunerals provides an online funeral planning form for you to plan and record your personalised funeral wishes anywhere, anytime. eziFunerals can help you plan an ‘Pre-Need funeral, without a funeral director and appoint a funeral guardian to carry out your wishes, just as you requested. Begin planning your funeral today! 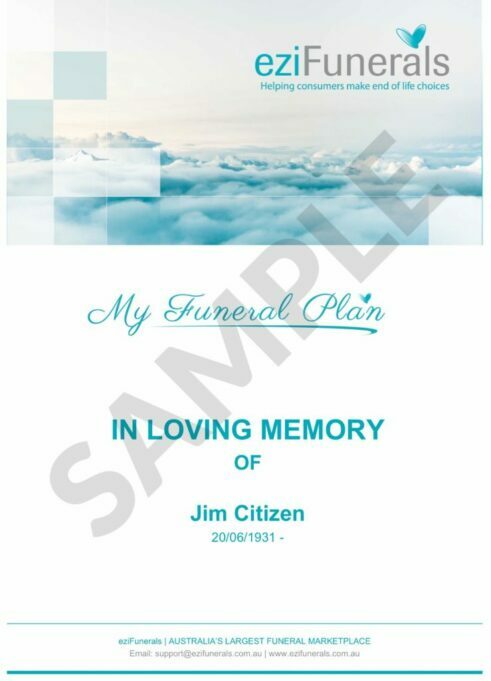 The best way to let your loved ones know about your funeral wishes is to create your funeral plan with eziFunerals. IT’S FREE! You’re in total control. You’ll be guided step-by-step through the process of how to plan your funeral. In a matter of minutes, you’ll have created a personalised funeral plan that records all your funeral wishes for your family. Once your funeral plan is created, you can store it online, share it with your family, download it, and use it to compare funeral prices from multiple funeral homes in your area before selecting a funeral director that’s right for you and your family. There’s no obligation to select a Funeral Director. Give it a try! 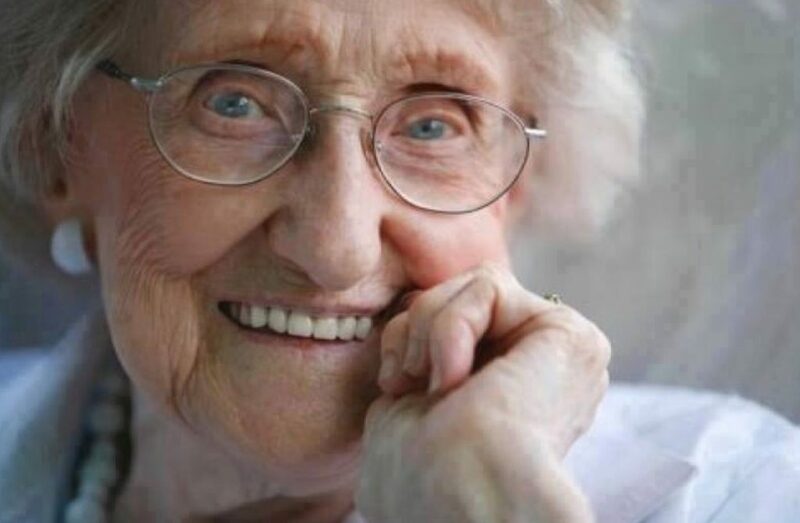 For more information or to make contact with a trusted Independent funeral director, call eziFunerals on 1300236402 or visit www.ezifunerals.com.au.